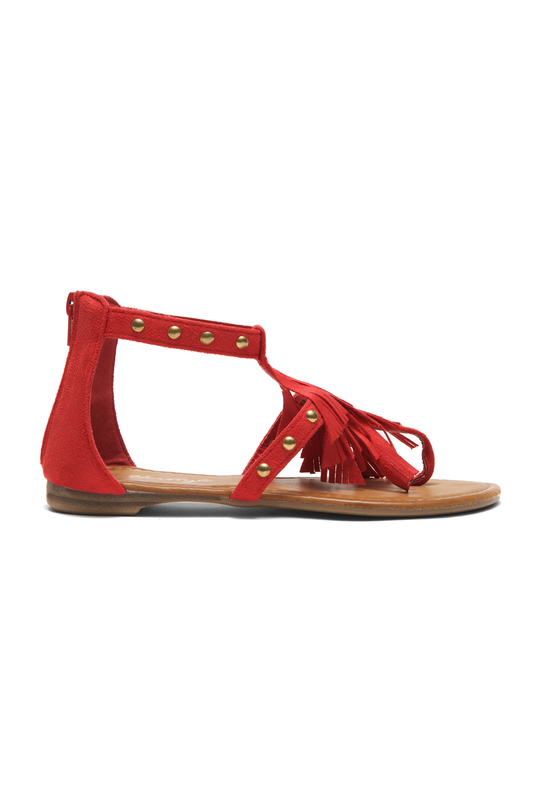 Here’s a cute little fringe accented sandal that’s sure to liven up your shoe wardrobe – our Sammson. Flat and comfortable, with a nicely padded insole, sueded straps, a zippered heel cup, gold-toned rivets, and wedges of fringe that splay attractively over your bare foot. Very nice! Available in cognac, black, and fuchsia. On days you just don’t want to fuss with your clothes, let the details do the talking. Wear your pencil jeans and a plain button down or tank – just add a fringed bag and Sammsons and your style is complete! Go straight up hippie with a belted little dress, headband, fringed bag, and Sammsons. Or dress them up with a floaty chiffon dress of any length and easy-going leather accessories. Go ahead and live on the fringe, it’s gorgeous here isn’t it? Available in sizes 5 to 11. I already have this in black... I liked them so much that I bought the color red this time!! Comfortable & cute. 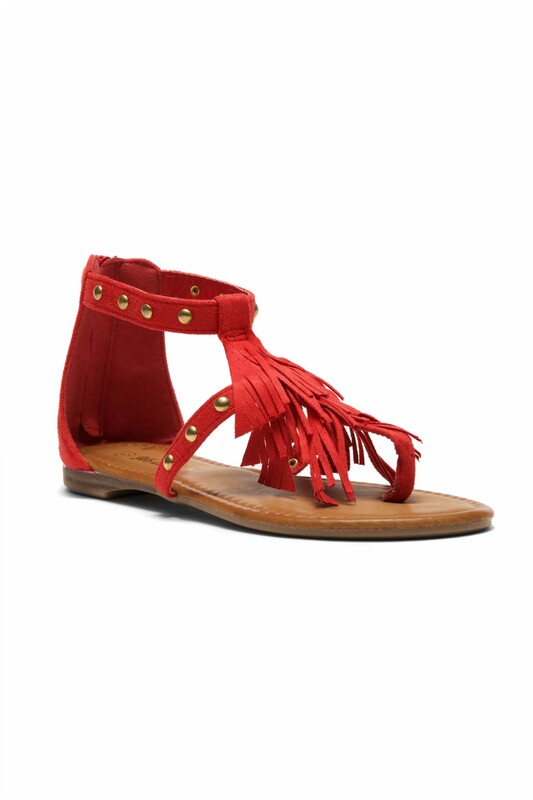 Great quality with a soft fringed strap. 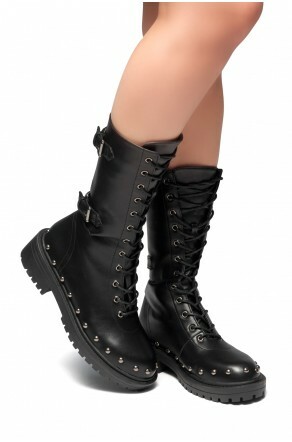 Fashionable and glamorous look even when you are only wearing casual wear.